For my birthday present, in 2011, my amazing (then) girlfriend (now fiancée) Ana bought us a weekend in Munich, Germany in February of 2012. Firstly, I’d say that Germany is a beautful country with nice, pleasant and helpful people. Those who’ve said that Germany isn’t a friendly place or that the people aren’t that nice clearly haven’t been there, or have an agenda to that. We stayed in a very nice hotel just a short underground train ride outside of Munich, called the Rilano, near the Alte Heide underground train station. 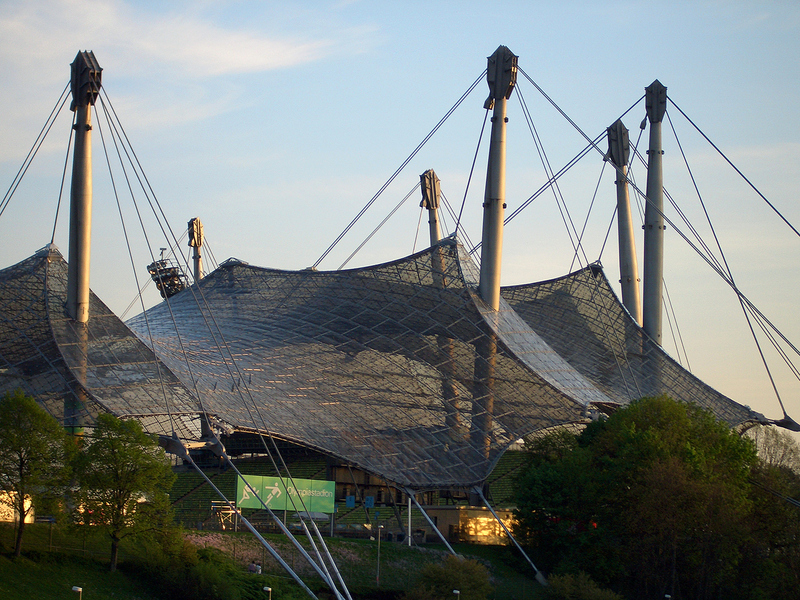 This provided a perfect link into Munich to see all of the sites that Munich has to offer. We were able to see most of Munich thanks to the Hop-on Hop-off tour company. I was lucky enough to visit the BMW Visitor Centre in greater Munich, seeing the stunning Olympic Stadium, the former home of Bayern Munich – then we also managed to take in a view of the Allianz Arena, the current home of Bayern Munich. For the more scenic views, we had the Englisch Gardens, the local Museum of Technology – MANY pastry shops and some very, very nice restaurants and bars with some bratwurst, currywurst, schnitzel and copious sauerkraut. For those who want to go to Munich, do it. It’s not overly expensive, the people are great, the sites are stunning and the buildings are timeless. The food is superb and the general public transport is second-to-none.